Top Cow Productions, Inc. and Image Comics invite you to join them from March 30th through April 1st at the 10th annual Emerald City Comicon (ECCC) held at the Washington State Convention Center in Seattle, Washington. 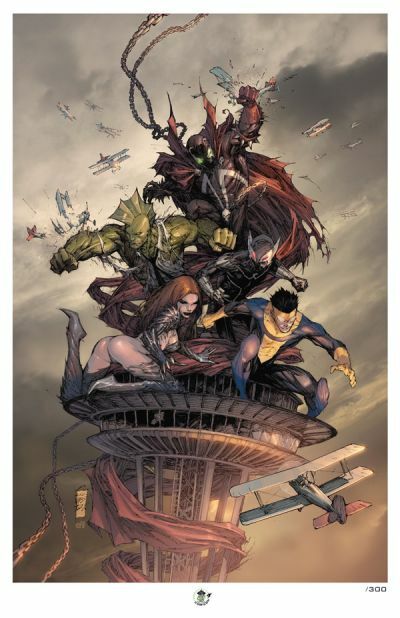 Special Guest and Top Cow founder Marc Silvestri provides this year’s ECCC program guide cover, which features iconic characters from each of the current Image partners. 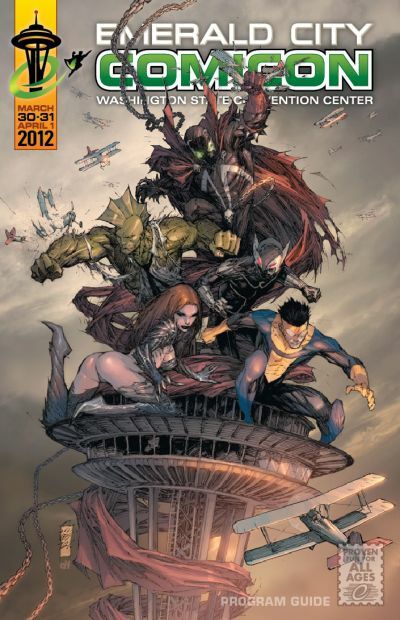 Witchblade, Spawn, Savage Dragon, Shadowhawk and Invincible crouch atop the iconic Space Needle in an homage to the classic King Kong scene. Silvestri penciled and inked the incredibly detailed image and Sunny Gho of IFS provided the colors. 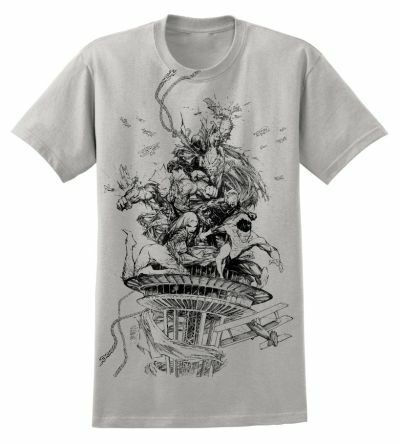 To commemorate the decade-long Seattle institution, the artwork will also be available as an Exclusive Print at the Top Cow Booth (#414), and an Exclusive T-Shirt will be available at the ECCC Booth (#514).